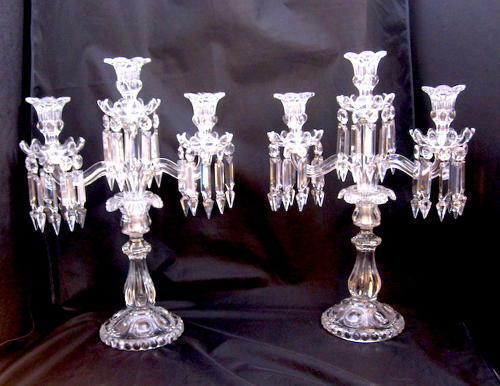 A Tall Pair of Antique BACCARAT Three Branch Candelabra each with Cut Crystal Candle Holders and Albert Drops. Signed Etched Baccarat Mark circa 1920. High Quality Cut Crystal .